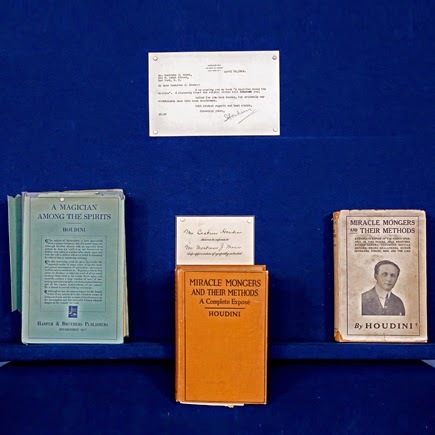 A set of signed Houdini books and a letter appeared on the popular PBS series Antiques Roadshow today. The collection was discovered in the attic of a home in Knoxville, Tennessee by a woman whose grandfather was friends with Houdini. Ken Gloss appraised the collection at $7,600 - $11,600. While the segment just aired today, the appraisal was made on July 13, 2013. You can see photos, read a transcript, and watch a video of the Houdini segment at the Antiques Roadshow webpage at PBS.org.